Defense Secretary James Mattis holds a press conference on March 31 in London. President Donald Trump swept into office with no government experience, few policy positions, and a team of iconoclastic outsiders who echoed his desire to put America first in all things. Since taking office, Trump’s team has been racked by scandal and intrigue, from the persistent concerns over Russia ties to infighting between his strategist Steve Bannon and son-in-law Jared Kushner. Amidst this chaos, it’s been difficult to discern any particular policy preferences or agenda. Foreign policy, in particular, has suffered from the absence of the president’s personal leadership. Optimistic observers like Wall Street Journal columnist Gerald Seib have found hope in the ascendance of National Security Adviser (and Army Lt. Gen.) H.R. McMaster, Secretary of State Rex Tillerson, and Defense Secretary James Mattis. Others have taken comfort in the more mature structure and process established by McMaster at the National Security Council. These moves matter, and will likely help reduce the drama within the White House around national security matters. But the ascendance of the likes of McMaster and Mattis may also create a more hawkish administration, one driven by establishment aides who favor the use of force and for whom “America First” means something completely different than it does to Bannon or his minions. During the early days of the Trump administration, it seemed Bannon’s faction was in charge. At the Conservative Political Action Conference in February, Bannon articulated a nationalist agenda for the White House that included the “deconstruction of the administrative state.” Bannon and his team worked to put that agenda into place, producing a series of executive orders and legislative proposals that included plans to close the border and repeal Obamacare. Then–National Security Adviser Michael Flynn also produced a controversial directive that put Bannon on the roster for NSC meetings and work product—an unprecedented level of access for a political strategist. And then the Russia intrigues surrounding the White House continued to grow, eventually claiming Flynn as a casualty. Federal courts blocked enforcement of Trump’s first and second immigration orders. Republicans faltered in their Obamacare repeal. While Bannon’s faction took the hit for these failures, others in the White House saw their influence grow. On Feb. 20, Trump picked McMaster to replace Flynn. Shortly thereafter, McMaster began to make changes at the NSC by moving key deputies around to build a trusted team. Later, he ejected Bannon from regular membership and succeeded in pushing out K.T. McFarland from the crucial deputy position. 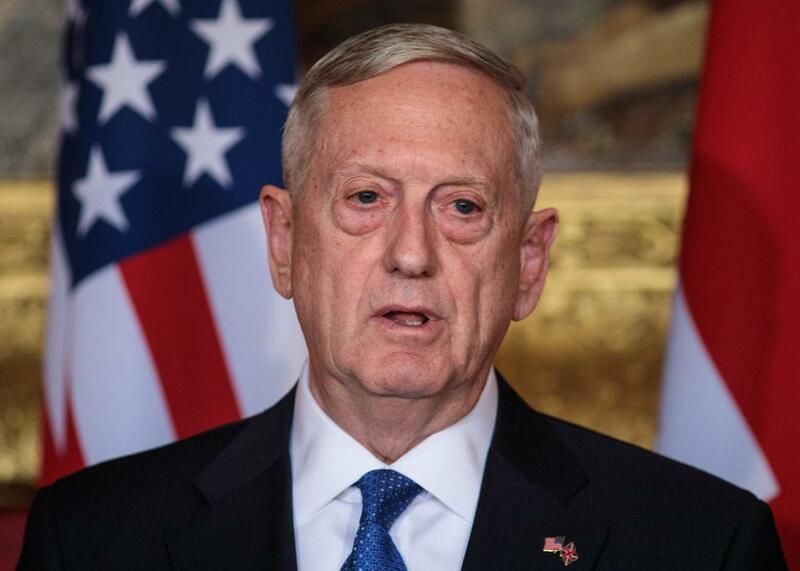 At the same time, Defense Secretary James Mattis began to unfurl the appointments of key policy aides to help steer the Pentagon. Tillerson traveled across the world as the nation’s chief diplomat, earning criticism but also solidifying his grasp on the department and its far-flung outposts. Having been confirmed on March 15, former Indiana Sen. Dan Coats settled in as director of national intelligence alongside CIA Director Mike Pompeo. These experienced operators stepped into the policy vacuum left by a vague presidential campaign (what, exactly, does it mean to “Make America Great Again” in the foreign policy context?) and Bannon’s missteps. In turn, Trump would increasingly come to rely on them for their advice, guidance, and support. When Syrian forces linked to dictator Bashar al-Assad brutally killed several dozen civilians with chemical weapons, these members of the foreign policy establishment had their hands firmly on the wheel. Within hours, Trump decided he wanted to use force and turned to Mattis and his Pentagon staff to “mature those options” for a final decision. McMaster’s staff worked closely with Pentagon planners to develop concrete attack plans, with Trump ultimately choosing a modest cruise missile strike meant to send a message of deterrence to Assad. The growing prominence and primacy of McMaster and the other aides around the table in the Mar-a-Lago situation room during the Syria strike demonstrates the extent to which Trump has come to rely on their voices. What’s also becoming clear is that the ascendance of these establishment figures may also mean the decline of “America First” and a return to more conventionally hawkish views on the use of force and the nation’s role in the world. Consider the team. McMaster, a senior Army general, has kept his political cards close in keeping with the professional ethic of a military officer. However, in his writing, he has called for a more aggressive U.S. foreign policy, particularly with respect to Russia, China and Iran. Mattis is famously hawkish on Iran and Middle Eastern issues, with decades of experience fighting wars (or planning to fight them) in the Middle East. Tillerson doesn’t bring a long resume on military matters, but in his work as Exxon Mobil’s CEO, he illustrated realpolitik in action. At the CIA, Pompeo brings an aggressive stance towards ISIS as well as to other threats like Russia and Iran. In addition to these hawkish views, Trump’s current team of advisers bring government experience, allowing them to wield the tools of statecraft in furtherance of their policy preferences. While Bannon may rail at the administrative state and craft executive orders tinkering with it, only to see those orders blocked or undermined, the national security professionals now in charge of Trump’s foreign policy understand how to translate ideas into action. All of this combines to create an atmosphere in which the administration will likely act more aggressively on the world stage—and will do so rapidly. Although last week’s Syria strike appears to have been an isolated act disconnected from any broader strategy, it does represent a sharp escalation for the U.S. in its Syria policy. If left in charge, Trump’s current crew of foreign policy advisers may push the White House to embrace the national security policies of his two predecessors, including robust engagement with NATO, hostility toward Russia, nuanced trade policy, and an aggressive posture in the Middle East. What’s unclear is whether Trump himself will recognize the disconnect between those policies and his campaign pledges, or be able to reconcile this new muscular foreign policy with the nationalist political forces that propelled him into office.